Last month I added a new machine to my line up and it’s been so much fun! Meet JJ, my Baby Lock Jazz II. This guy is a little different than my Destiny II. He is all mechanical, has no fear of fabrics and is a complete powerhouse in the stitching department! So far, this machine has not even blinked at what I’ve tossed his way. To get all up close and personal with any new machine, I like to start out with a stitch sampler. I know it sounds terribly basic but it really helps me get the feel of the machine, see all the stitches first hand and understand how to manage any tension needs. These little samplers are the perfect reference tool that I use over and over again. I really consider them my personal stitch library and always keep them with my machine manual. To celebrate the new addition to my sewing machine family, I’ve made a few new projects to share with you. 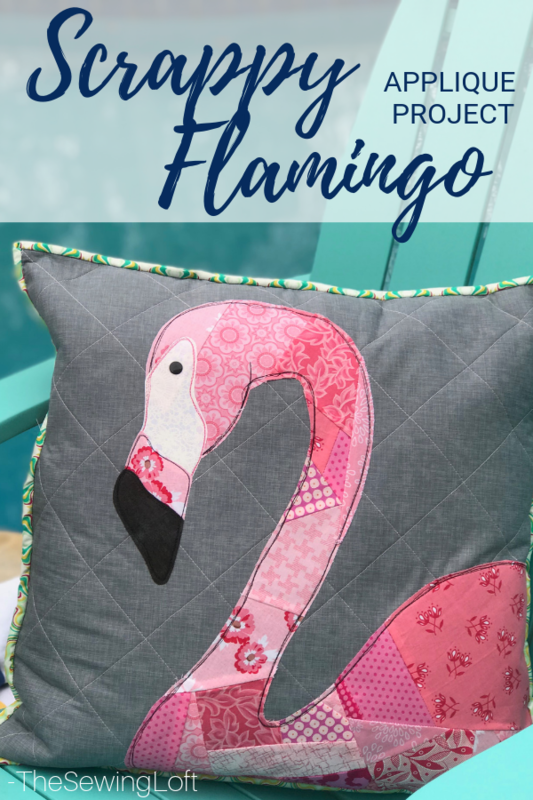 The first is my Scrappy Flamingo Pillow. 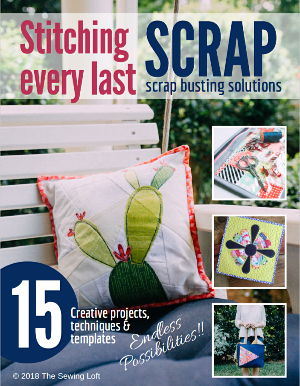 The project is easy to make, great for stitching your scraps and will help you explore the decorative stitches on your machine. You can download the template and full instructions here. For anyone thinking of getting a new machine, this one is a goodie. The sheer power of this machine is like a breath of fresh air! I know that it can handle anything I throw at it. Here are a few of my favorite features of the Jazz II. 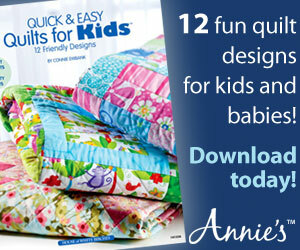 Wide sewing bed & throat space- HELLO, quilts of my future, JJ & I have a plan for you! The 12″ sewing space provides so many options. 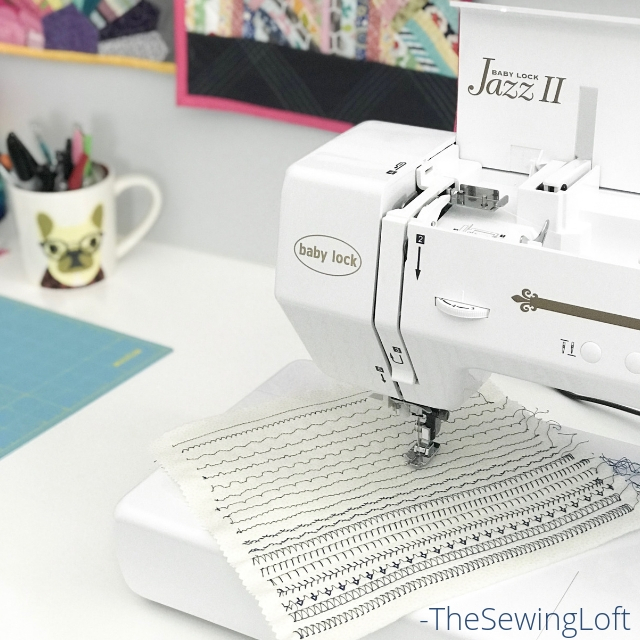 Speed- With the ability to stitch 1000 stitches per minute, the Jazz II puts a whole new meaning the the phrase, pedal to the metal. Light weight- Compared to my Destiny II, the Jazz II is a dream to travel with. You will find me bringing this bad boy to my Sew Scrappy Retreat later this fall and all my classes in between. Lighting- When working at night, light is your friend and this machine comes with 6 LED bulbs to light your way. Really, I could go on but I suggest you head to your local Baby Lock Dealer and give the Jazz II a test drive. 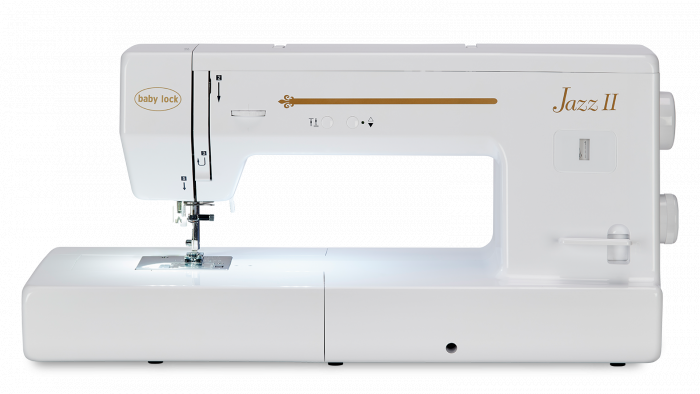 The hum of the machine is dreamy and really takes me back to when I was just learning to sew on my Mother’s old school Viking.